‘Net neutrality’ hasn’t always been politically loaded — so what happened to make internet speed a partisan topic? 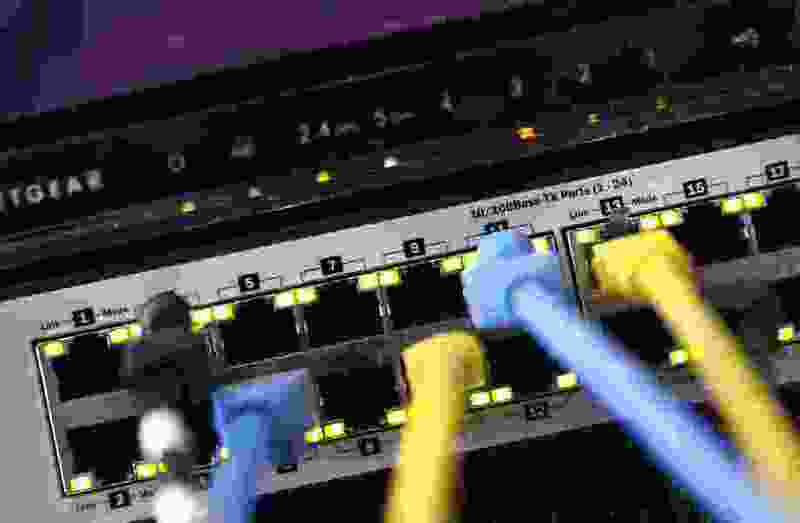 (Charles Krupa | The Associated Press) In this June 19 file photo, a router and internet switch are displayed in East Derry, N.H. Net neutrality traces back to an engineering maxim called the “end-to-end principle,” a self-regulating network that put control in the hands of end users rather than a central authority. Traditional cable-TV services, for instance, required special equipment and controlled what channels are shown on TV. With an end-to-end network like the internet, the types of equipment, apps, articles and video services permitted are limited only to imagination. New York • For a fundamentally nerdy subject, net neutrality is pushing a lot of political buttons. Although net neutrality started off more than a decade ago as an insight into how to make networks work most efficiently, it has taken on much larger social and political dimensions lately. The issue has emerged as an anti-monopoly rallying point and even a focus for “resistance” to the Trump administration. And the internet subsequently grew like nobody’s business — largely because it wasn’t anyone’s business. On Monday, the Supreme Court declined to hear appeals from the broadband industry to strike down a lower court ruling in 2016 that was in favor of net neutrality. That effectively shut down an appeal that had already become largely moot when the FCC rolled back the rules. But in other arenas, the fight is likely to drag on. Several tech companies including Mozilla and Vimeo are challenging the FCC’s rollback decision in a federal appeals court. That’s separate from the challenge to the California law, which is on hold until the tech companies‘ lawsuit is resolved. Oral arguments in the tech companies‘ case are expected in February.